North Dakota Governor Doug Burgum and first lady Kathryn Helgass Burgum commissioned Walter Piehl, North Dakota visual artist and Minot State University art professor, in December to commemorate his inauguration with a painting. Piehl created a mixed media artwork recognizing the state and its history. Piehl used an old North Dakota map, the type which was popular in schools prior to the digital age, from MSU’s Division of Social Science. He combined it with reproductions of George Catlin and Karl Bodmer paintings to create a collage background. Catlin and Bodmer depicted the lives of the native people of the Upper Missouri River region in the mid-19th century. With his expressionistic painting style, Piehl painted a sole American bison over the top of the collage background. The piece measures 48 inches by 60 inches. The couple had a giclee (ink jet) print made in a limited edition of the painting. The prints were given to Burgum’s friends at inaugural events. Piehl received artist proofs of the print, and he presented one to MSU President Steven Shirley. For questions, contact Piehl at walter.piehl@MinotStateU.edu. Western Plains Opera Company presents the Broadway classic “Fiddler on the Roof” in Ann Nicole Nelson Hall. Remaining performances are Friday (Jan. 27) and Saturday (Jan. 28) at 7:30 p.m. and Sunday (Jan. 29) at 3 p.m. 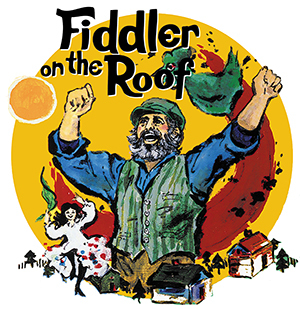 Winner of nine Tony Awards when it debuted in 1964, “Fiddler on the Roof” is the brainchild of Broadway legends Jerome Robbins and Harold Prince, songwriters Jerry Bock and Sheldon Harnick, and bookwriter Joseph Stein. Tickets can be purchased by calling 858-3185 or online. Ticket prices range from $15 to $20 depending on the chosen seat. Student tickets are $10. Ticket sales will remain open until the performances. Tickets are going fast and will be available for purchase at the door beginning one hour prior to show time. For questions, contact mark.mcquade@MinotStateU.edu. 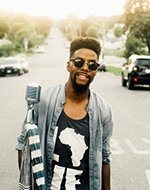 As part of Black History Month, Joe Davis, Minot State University alumnus, will present “The Future of Black History” Feb. 3 in the Multicultural Center, at 10 a.m. Davis is a multi-media spoken-word poet, teaching artist and community organizer. Currently an artist-in-residence at Luther Seminary, he is also pursuing a master’s degree. At 1 p.m. in the Beaver Dam, Davis will also host an open-mic session and workshop. Audience members may share their work onstage and receive feedback from Davis. All MSU students, faculty and staff are invited to the MSU Diversity Council-sponsored event. For questions, Annette Mennem, MSU Diversity Council co-chair, at 858-3112 or annette.mennem@MinotStateU.edu. After two sold-out shows, the third annual Community Rocks! 2017 concert is set for Feb. 4 at The Grand. Doors open at 6 p.m., heavy appetizers available, with music beginning at 7 p.m. Erik Anderson, chair and professor within the Minot State University Division of Music, will conduct the Community Rocks Symphony Orchestra in 15 rock classics from the ’60s to the present. Melissa Spelchen, assistant professor of criminal justice, pictured right, will provide lead vocals. There will be numerous live and silent auction items; this year's beneficiary is the Roosevelt Park Children's Zoo. Tickets are available at the Roosevelt Park Zoo, Jacobsen's Music and Classic Rock Coffee Co.
Co-founded by Anderson and Andy Bertsch, management professor, Community Rocks! exemplifies local initiative and talent coming together to benefit the community. The orchestra consists of local string, brass and wind players, plus trap set and electric bass. For questions, contact Anderson at erik.anderson@MinotStateU.edu or 858-3576. Feb. 9-10 — Darwin Day in Cyril Moore Science Center. Feb. 10 — Alumni, Beaver Boosters and Friends Appreciation Night in the Dome, 5:30-7 p.m.
Feb. 14 — Strategic planning open forum in the Conference Center at 12:30 p.m.
Feb. 16 — Strategic planning open forum in the Conference Center at 8 a.m.
Feb. 18 — Minot Symphony Orchestra concert “The Troublemakers,” Ann Nicole Nelson Hall, 7:30 p.m.
Feb. 21 — Spring Assessment Day. The Minot Area Chamber of Commerce Governmental Affairs Committee hosts Saturday legislative forums at the North Dakota State Fair Center, with the next forum Saturday (Jan. 28) at 9 a.m. The forums give attendees a chance to meet with Minot area legislators and ask questions. The format includes a moderator who asks questions submitted in writing by the audience. Each session runs from 9 to 11 a.m. at the NDSF Center. Other dates are Feb. 4 and 18, March 4 and 18 and April 1. Jan. 27-Feb. 15 — “Sea Change” by Fawn Atencio, a Denver artist and Best-of-Show winner in MSU's Americas 2016 Paperworks competition, Library Gallery. Jan. 27-Feb. 23 — “Americas 2017: Paperworks," a national juried exhibition with guest juror Michael Strand, Hartnett Gallery. Jean-Francois Mondon, assistant professor of foreign language and coordinator of foreign languages, co-authored with Joseph Eska, Virginia Tech English professor, on “Unexpected Aspiration in Epichoric Greek Inscriptions.” The paper has been accepted at East Coast Indo-European Conference this June at Cornell University.